Try this recipe the next time you come across some plush peaches and want to impress your guests. Listen up! Salads do not have to be boring, a burden to prepare and a drag to eat! 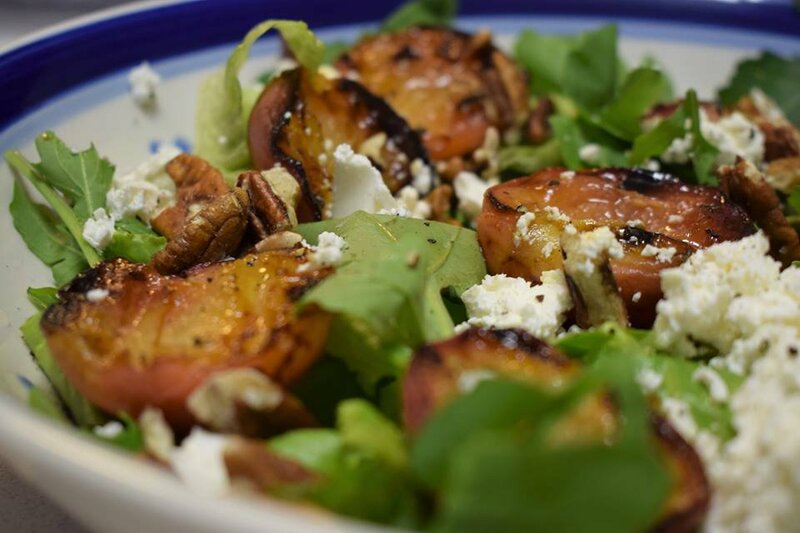 Food blogger Kirosha Kamal says with a few good ingredients, you can put together delicious salads that either make a great side or main meal. “Whilst shopping recently, I picked up some delicious, golden peaches and toyed with the idea of either making a dessert or a salad. My hips screamed SALAD so off I went to my kitchen and put this delicious platter together,” she says. 1. Start by heating up a grill pan quite well and smother with the olive oil. When quite hot, place your peaches flesh down (after sprinkling on some brown sugar) to grill and soften slightly. This should take about 5 minutes or so, press to check and lift slightly to ensure grill marks and caramelisation. When done, remove from pan and leave to cool (flesh up) on a plate. 2. 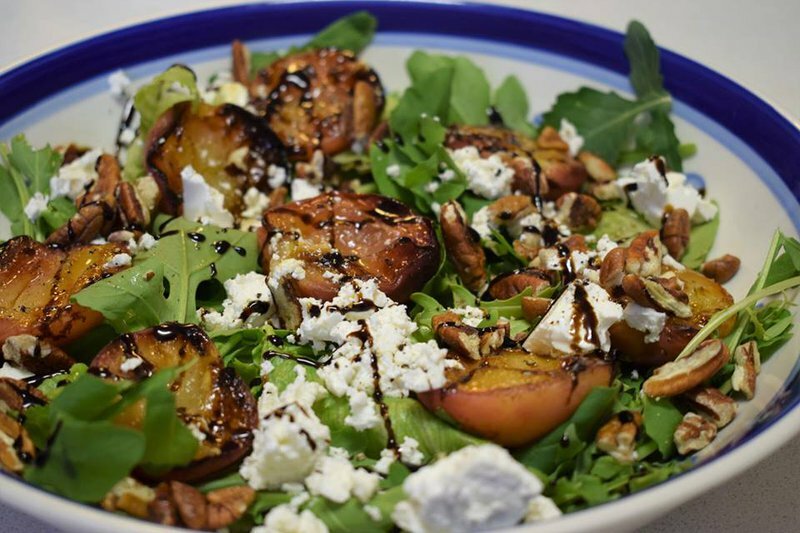 Next arrange the rocket and watercress on a platter, then nestle the peaches in between the leaves, add feta, sprinkle the pecan nuts and some black pepper. 3. The last step is to drizzle the balsamic reduction all over (add as much as you want) and serve. Oh, and don’t forget to be chuffed at this beautiful dish. Visit Kirosha's Kitchen for more recipes.